In our first article we addressed the modern challenges to strategic planning; the growing complexity and uncertainty that presents challenges to creating a comprehensive and coherent vision of the future. Here we review how brand planning needs to change as a result of the growth in complexity and uncertainty and our third article provides an easy-to-use approach to assessing whether a brand plan addresses the needs of the modern marketer and their organisations. Our first article responded to the 1970’s pop idol David Cassidy and his question about strategy, “How can I be sure, in a world that’s constantly changing?”. We addressed the need to adapt the strategic planning process. The two articles on brand planning use a different approach. It follows on from the prescient statement made by another pop group, the Fun Boy Three in 1982, “It isn’t what you do, it’s the way that you do it”. The process of brand planning isn’t changing, but the perspectives one needs and the way you do it are changing. The annual brand plan, that fundamental of the marketing function, faces similar challenges to the strategic plan. Today the short-term operational brand plan must contain (1) deep insight into customers and competitors, (2) a close relationship with the longer-range strategic plan – it should be derived from and make regular reference to the strategic plan – and (3) clear measurement that will inform and direct tactical decision making throughout the life of the plan. Table 1 illustrates the differences between the traditional approach and the requirements of modern, effective, brand planning. This need for change is driven by the growing number of stakeholders, their changing roles and interactions, increasing and more diverse competition and the pressure of time where it is not acceptable to wait a year before realising that something is or isn’t working, or that one needs to redistribute resources. Indeed, for some people the annual plan was something that was written and then placed, literally, on a shelf for the whole of the plan period. That cannot happen today; the brand plan must be a living document that brand team members carry around with them, sometimes literally, and refer to on a regular basis. Furthermore, it needs to be forward looking, based on and preparing for the future identified in the strategic plan. The tradition of writing an annual plan, that is one that lasts 12 months, has been with us a long time and often reflects internal budget cycles. This needs re-thinking. Markets don’t work that way. If the strategic plan identifies a critical point in 13- or 15-months’ time it is wise to ensure that the brand plan covers this period, providing a consistent and coherent approach to the realities of the market. It is easy to develop a plan that is structured to allow you to break-out any time period, including a 12 month one. It seems obvious that a customer focused organisation (and aren’t we all these days) will not structure it’s planning around internal fiscal deadlines. We don’t intend to take you through the marketing plan process.  We’ll assume the reader is grounded in the process. Instead, we will discuss the new emphasis on certain aspects of the planning process, why it is important and what the implications are for the planner and the brand. We will deal with the relevance of the strategic plan, stakeholders and segmentation, thinking about the competition, market position, SWOT analysis, insight and KPIs. An environmental analysis must look ahead. It must align with the thinking and projections in the strategic plan and changes in the environment must be identified with their implications for the organisation and brand clearly explained. It may be that a particular tactic will only be required when a specific thing has happened or evolved in the market. Furthermore, the environmental analysis needs to understand behaviours and interactions, not just market dynamics in terms of growth or segment size. If there are things you do not understand, go and speak with people, develop a detailed understanding and recognise the implications for your planning before you begin writing the plan. Stakeholders and segmentation, and what else? The segmentation of stakeholders is increasingly popular in brand planning, and rightly so. The desire to understand distinct, identifiable, sets of customers that have a unique set of needs so that we can respond to their needs in a more useful and helpful way is clearly a desire worth having. Rudyard Kipling’s Six Honest Serving Men – What, Why, When, How, Where and Who capture our basic questions about segments. However, effective segmentation is not easy, requires significant time and resources to develop, validate and understand and it needs unambiguous communication to the team members who will identify which segments customers are in and deliver the right communication. It is easy to confuse people with segmentation. When done well, and this usually means simply, segmentation can be a highly effective and efficient tool in directing the right resources at the right people. Beyond segmentation, there are a number of other useful techniques that should be considered. For example, given the increasing interaction between stakeholders, such as patients and doctors, government and regulators, hospitals and primary care, it is increasingly important to consider these interactions. What will one stakeholder do as a response to an action from another stakeholder? For example, what will payers do if a new therapy is supported by patients and physicians because of a difference in delivery system despite being more expensive than a clinically equivalent treatment? This can be achieved through various formats, including gamification, and one can often use members of the stakeholder groups to “Play out” how their interactions might develop. This can inform your thinking significantly about how a market may evolve over time. Given that there is often an increasing number of competitors, more launches, different modes of action and sometimes even generics or biosimilars launching at the same time as branded competitors our need to understand the impact and interaction of competitors has never been greater. In our experience, strategic and brand planners are increasingly turning to gamification (market simulations, war games, competitor response workshops or one of many other titles) to deliver an understanding of what competitors or stakeholders are likely to do and whether we need to exploit or respond to their actions. However, it’s rather like segmentation. The concept is straightforward, and execution is not easy. For example, there is no one approach to making competitor assessments. It may be that you are launching and want to understand how an incumbent will respond; you may want to understand how a competitor will launch where you are incumbent; you may want to understand how two competitors will interact in a market you are active in or how competitors will position themselves in a specific market segment. Similar to segmentation, understanding competitor’s likely plans and your response requires time and thought to create the most useful outputs. It may require a workshop, it may require small group work, it may take weeks or months; it all depends on the specific goals you have. Furthermore, competitor assessment can be applied at various points throughout the planning process. A simple example is provided below in Figure 2, where CSNs (defined here as those factors that a customer views as essential to succeed in a specific market) are assessed for their level of importance AND for the organisations ability to deliver the CSN versus competitors. 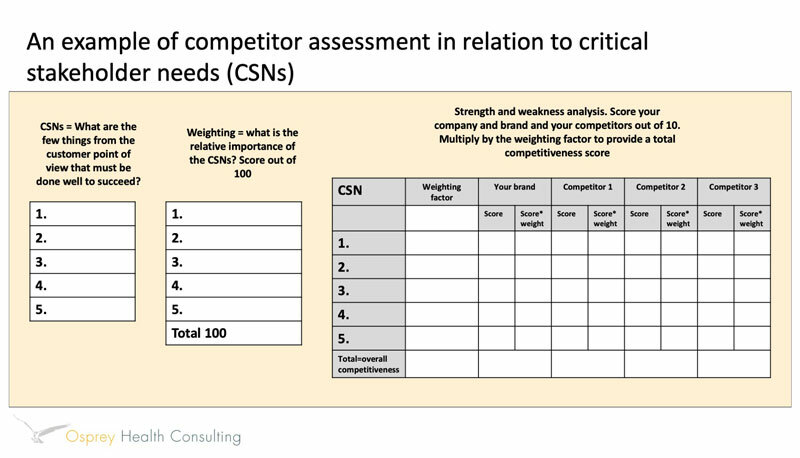 As you will see this is a useful way of driving out strengths (where you can deliver the CSN better than others) and weaknesses (where you can’t) and provides an external check (or validation) on your ability to deliver CSNs versus your competitors. When performed on a segment basis this approach can help identify areas of focus for the brand plan. A differentiated brand position is a fundamental part of creating success in increasingly complex and uncertain markets. Position needs to build on the needs of the market segments you are targeting and the deep understanding you have of competitor positions. With this you can focus finite resources effectively and efficiently. Today, a simple position statement, especially a generic one based on the licensed indication, is not sufficient to drive a brand forward. 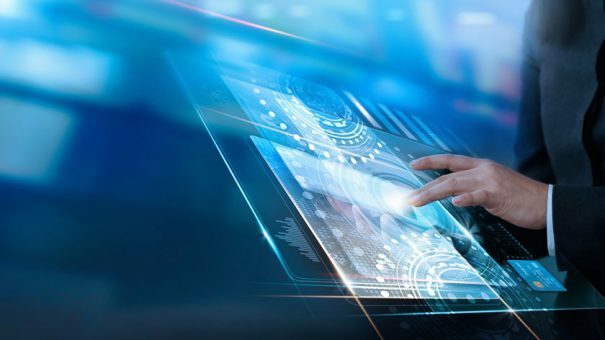 Market position, to be effective, must address the market in a meaningful and unique way, creating a perception of the brand in the mind of the customer that addresses functional and emotional needs effectively. The position should work across markets, across indications and across customer types. Too often one sees (or perceives) positions that are unclear, not unique, do not address functional and emotional needs (they usually address only functional needs), are not ambitious and may even cause confusion about where a brand should be used. Marketers are sometimes concerned that position will constrain the growth of their brand. This is only true of poor positioning. Figure 3 provides a useful and simple technique to support the development of a strong and effective position. 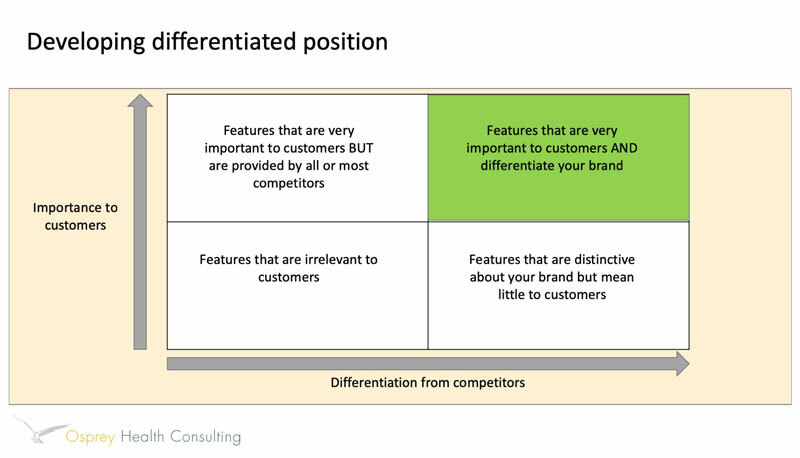 By listing the features of your brand on the grid you can identify those features that are not supportive of a strong position and those that are. Note that our section on insight in article 3 explains how features can drive insight thinking and can change from being irrelevant to relevant. Long term strategies may include raising the perceived importance of features unique to your brand, or, of course, reducing the importance of features of other brands. Often, the insight process we describe in article 3 can highlight features to raise or reduce in importance. The SWOT is probably the most recognised, used and perhaps the most abused tool in marketing. It is the summary of the environmental analysis built in a form that allows the planner to derive objectives and direction for their business. A poor SWOT will lead to inaccurate conclusions and objectives. Because it is so important, it requires clear definition and discipline about what is included, and detailed analysis and understanding to derive the critical insights that can turn a bland plan into something that can change the fortunes of a brand. Another important point to make about SWOT analysis in complex markets is that more than one SWOT may be required, perhaps one per indication or market segment. 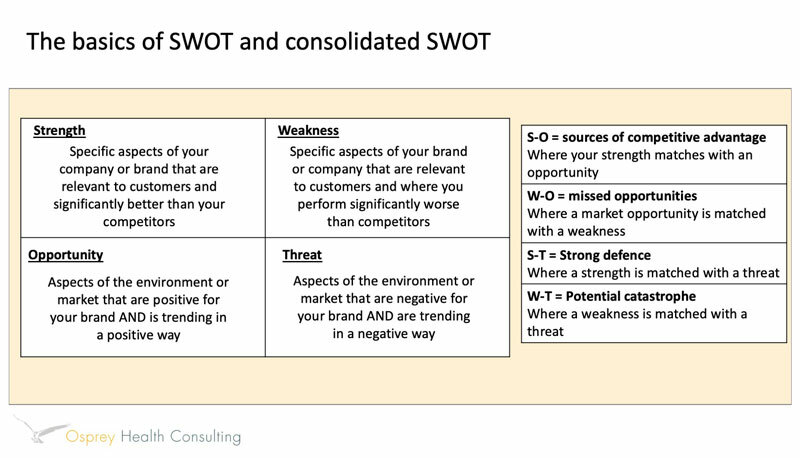 A SWOT done at too high a level, such as at a market level, may not be helpful. In our third article we will deal with the more intangible though no less important subject of insight into markets and how we develop the right measures of brand performance and to identify how markets are evolving. We will also provide an easy-to-use checklist for marketers to assess whether their plans and planning processes are fit to deal with the modern world of complexity and uncertainty.